ONLY RENTED WITH THE LARGER DUMP TRAILER. THERE IS NO DAMAGE WAIVER ON THIS ITEM. IF IT COMES BACK BENT THE CUSTOMER BUYS THE RAMP. THE RAMPS ARE $200.00 EACH, SO $400 FOR A SET. 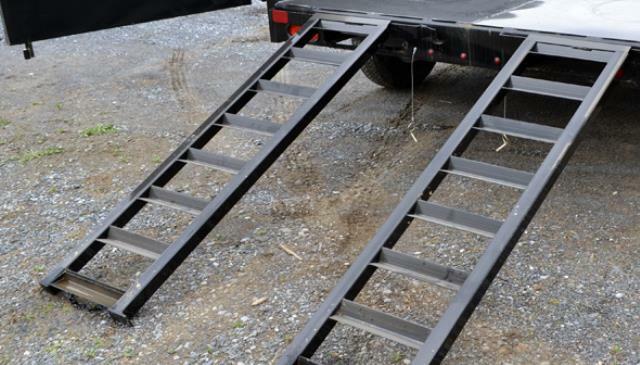 * Please call us for any questions on our ramps dump trailer pair rentals in Sterling VA, Herndon VA, Leesburg VA, Reston VA, Chantilly VA, McLean VA and Greater Arlington VA, Alexandria VA and Bethesda MD.